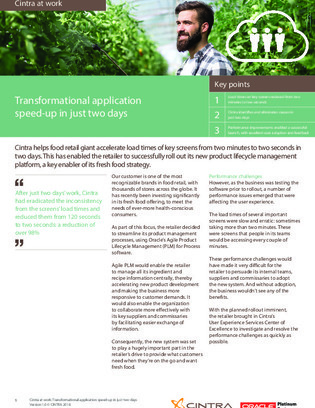 As a result of ever-more health-conscious consumers, one food retail giant decided to streamline its product management process by using Oracle’s Agile Product Lifecycle Management (PLM) for Process software. Agile PLM enables the retailer to manage all its ingredients and recipe information centrally, thereby accelerating new product development and making the business more responsive to customer demands. In this white paper, learn about the rollout of Agile PLM and how it benefited the company and their customers.